Maluku awaits its visitors with an incredibly beautiful under water world, idyllic tropical beaches and jungle-covered volcanic mountains. Today, the main source of income in Maluku from the production of fish and other marine products, but the nickel, oil, manganese and various lumber trade contributes to the richness of the region as well. Today we would like to present the top 5 natural attractions of Maluku for those who nature and are thinking of visiting this part of Indonesia. These tourist attractions include the Namalatu Coast, the Pintu Kota, the Banda island group, the islands of Karaka, Pisang and Ai and the Seram Island. 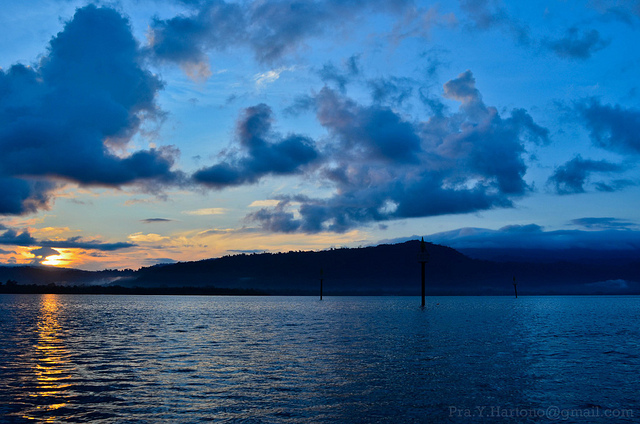 The Namalatu Coast in Maluku lies near the village of Latuhalat at 15 kilometers from Ambon. The narrow Namalatu Coast along the Banda Sea has white sand, is embellished by corals and is surrounded by crystal clear water. Thie beach with a wonderful and fascinating panorama is ideal for sunbathing, swimming and scuba diving. The Namalatu beach awaits tourists with umbrellas, outdoor dance and music performances, rujakot (mixed fruit salad with peanut sauce), coconut water, or even grilled fish and lobster vendors. 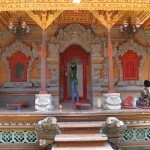 Pintu Kota (City Gate) is located between the villages of Airlow and Seri on the south coast of the Island of Ambon. There is a huge cliff in the sea, with a hole at the bottom that looks like an arched gate. Through the hole the entire coastline and the Banda Sea is clearly visible. 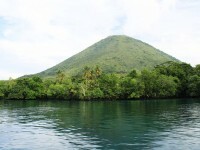 It is an ideal place for scuba diving in Maluku. 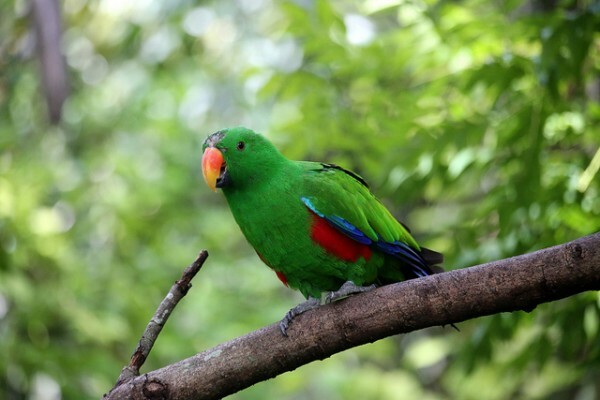 The Banda archipelago lies at about 132 km of Ambon to the south-east, at the edge of the deepest sea of Indonesia, the Banda Sea and has three larger and seven smaller islands. Near the Island of Manus in Maluku the water depth is nearly 6,500 meters. 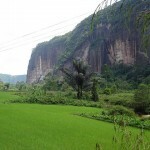 The island of Gunung Api is in fact only one still active volcanic cone. The last major eruption occurred just a few years ago. In the waters surrounding the Banda Islands are the famous Maluku sea gardens with majestic coral reefs and colorful fishes in the crystal clear water. 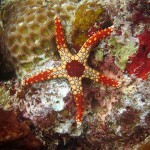 The amazing dive sites of Karaka, Pisang and Ai in Maluku are perfect for scuba diving. The tourists and the diving enthusiasts are awaited with a clean and comfortable rental wooden houses. 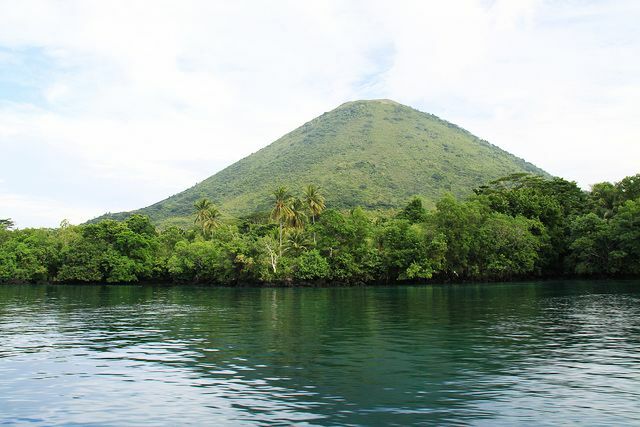 The Seram Island is the second largest island in Maluku, but because of the harsh terrain is practically untouched. The island is a mecca for birdwatchers. A walking tour in the Manuseal National Park is so far from the beaten path as far as that is possible in Indonesia: the park has less visitors than tha Baleim Valley in Papua.